“What goes around comes around.” If you believe in karma, you believe that giving out good energy will bring it back to you full circle, and the same goes for negative energy. The way you treat others has a huge impact on the way you will be treated, and the attitude you keep can determine the situations that may arise in your future. 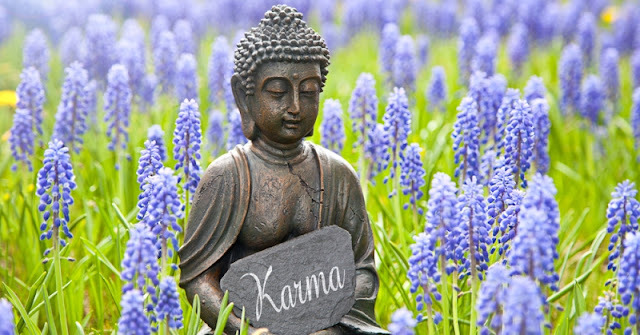 Here are five important ways to create good karma, and circulate positive energy in the world around you. Telling even the smallest of lies can get you caught up in a cycle of lying. A lie that seems harmless can lead to more lies, which can easily get out of control. Lying can become extremely harmful to your relationships. Once your friends or family members find out that you haven’t been telling the truth, it will be hard for them to trust you. Being honest and open will allow you to attract trustworthy people into your life. You’ll also feel better knowing that you’re living an authentic life, and being true to yourself. Don’t be afraid to try new things. Even if you fail, you are one step closer to finding what you are truly passionate about. Whatever path you decide to take, put your whole heart into it and work hard to reach your goals. Putting forth your best effort and staying true to who you are and what you want will put out a genuine energy that will allow you to meet others with the same passion. Being kind to others always creates good Karma, because they will be more likely to help you in your time of need. Use your unique talents and personality traits to help others when they need it most. They will appreciate your help, and you’ll make a lasting positive impact on their lives — something that should never be taken for granted. When you reach out and help others, you are also helping yourself find purpose. You never know what someone else is going through. Looks can be deceiving, so never judge someone else based on the way things appear to be. Whether it’s a rude coworker or a complete stranger in need of some kindness, don’t forget that what you give is what will come back to you. Try to empathize with the struggles of others and spread kindness and compassion wherever you can. Remember that spreading positivity requires a positive mindset. The world can often seem crazy, chaotic and uncontrollable, but it’s up to you to stay calm. When you let stress overcome you, you are more prone to bad karma, because you are blocking your mind and in your heart from good energy. If you are feeling frazzled, meditation can be a way to help you relax. Think positive thoughts, reflect on the good things in life and clear your mind of negativity in order to reflect your best self and circulate good karma. This post was republished from www.davidwolfe.com. You can find the original post here.